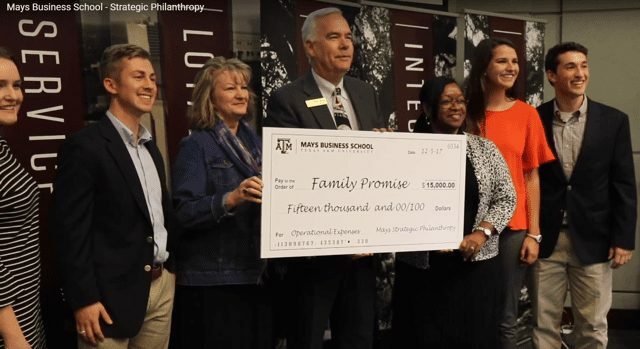 A few weeks ago we were awarded a grant from the Mays School of Business strategic philanthropy class. They evaluated over 40 non-profits and gave us one of the largest grants. There is a YouTube video with highlights of the presentation if you do a search using the bolded text above. Excerpted below is a picture from the video. This was truly a great Christmas gift for Family Promise. On behalf of Family Promise, I wish each of you a very Merry Christmas!